1.1 This agreement applies to all purchases of Personalised Products by you from the Personalised Wines website, and replaces all previous agreements between you and us. 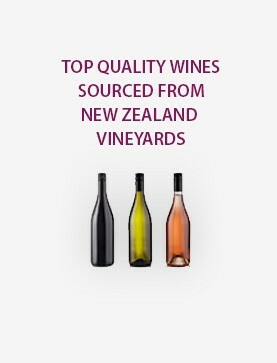 “website” means our website, accessible via the www.personalisedwines.co.nz domain name. $2,000. It’s pretty simple – if you’re under the age of 18 you’re not allowed to shop with us. Only persons over the age of 18 are able to sign and receive orders from us. agreeing to the Terms & Conditions you’re confirming that you’re over the age of 18 and legally allowed to buy alcohol in New Zealand. Independent Brands Limited trades under Liquor License number 003/OFF/016/2015 Expiry Date 4th April 2018 trading as Personalisedwines.co.nz New Zealand. us the different between the amount actually paid by you in respect of your order and the correct amount payable. are not presently available or where our stock of the relevant product(s) has been exhausted. received confirmation of your order from us via email or equivalent. to delivery at a later date. be restricted to payment of the cost of replacing the order or part of the order, as we may determine (in our sole discretion). use the “Delivery Instructions” box at the checkout. Please remember though that we’re not insured if the wine goes missing after you have given authority to leave. on 0800 80 42 42 and we’ll Track & Trace it for you. unsatisfactory feature develops in our trading relationship with you, we reserve the right to cancel the credit period and require that you pay us immediately. recovery and resale of the products save where such loss or damage arises from our negligence including that of our employees and contractors.